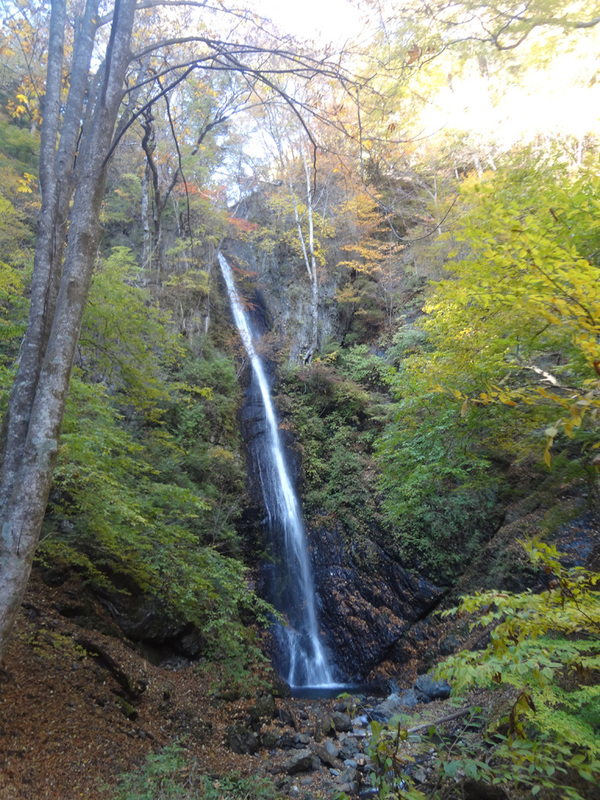 There are some waterfalls in Kosuge. Each are accessible by less than 20 minute walks from their trailheads. 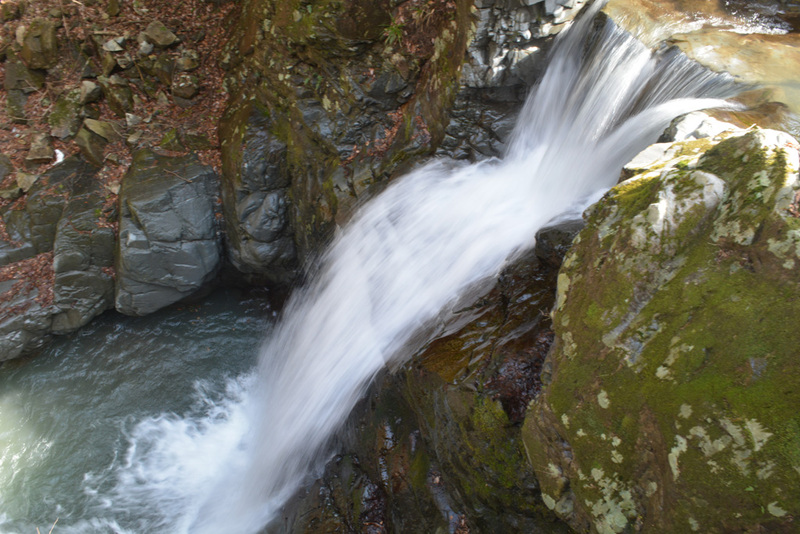 Amagoi 雨乞い is a minor waterfall at the end of Shirasawa River, just before it merges with Kosuge River. The waterfall is visible from above by a platform. Stairs connect the path down to the river confluence. It is accessible by about a minute walk from the small parking lot and restroom. 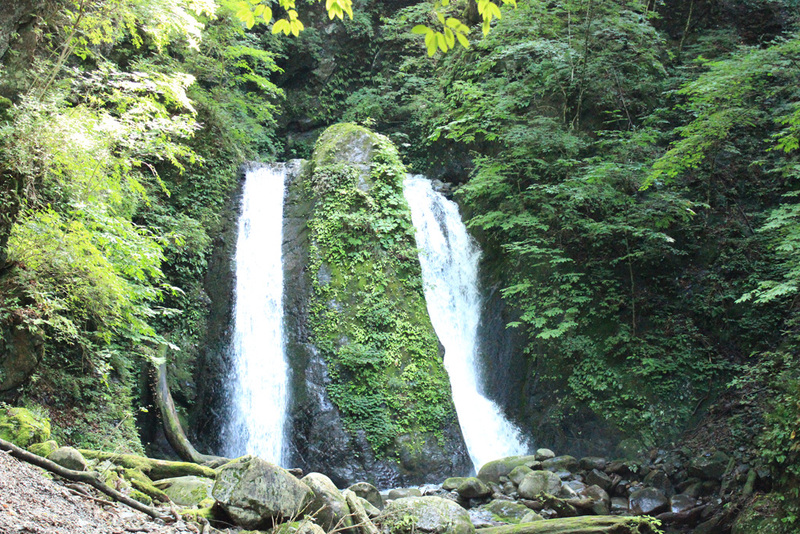 It also connects with the hiking trail from Mitsugo Mountain, and is less than a five minute walk from Primitive Village.